AIO Boot is currently only supported on Windows. If you want to use this tool on Linux, integrate WinPE 10 and boot into a Windows environment. Linux is good and free OS, however Windows is more popular. Because knowledge of Linux is limited, AIO Boot is not supported on Linux at this time. However, you can install AIO Boot and integrate WinPE 10 on Linux then boot into Windows environment to use this tool. 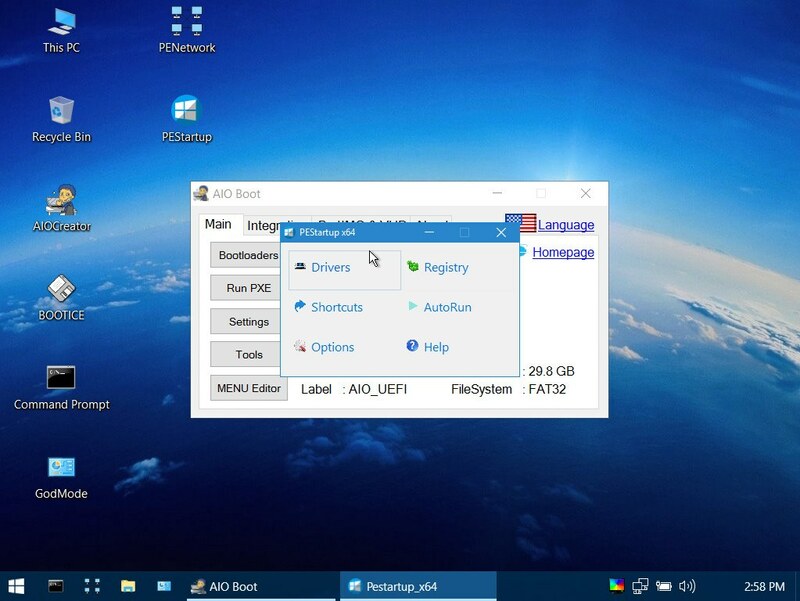 Download AIO Boot latest version at Github. You need to download the 7-Zip archive (.7z) instead of .exe. 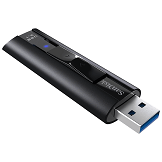 You should use GParted to reformat the USB drive, use FAT32 format for best support. Extract the AIOBoot-v0.9.X.Y.7z file to your USB drive. To be able to boot into AIO Boot, you need to install Grub2 first. Installing Grub2 on Linux can be done with just a few commands. If you only need to boot Grub2 in UEFI mode, you just need the USB drive in FAT32 format and skip the steps below. Determine which hard disk you will install Grub2. Here my USB hard disk is /dev/sdb. Go to the /AIO/grub/i386-pc directory. You can use the command or from this directory, right-click and select Open in Terminal. If this command does not exist, you need to install the necessary packages first. If you do not see any error messages, you have successfully installed Grub2. Now, you can boot into Grub2 of AIO Boot, to boot into WinPE 10, you need to integrate it first. The integration of WinPE 10 only needs to be done once. Use 7-Zip to extract the files to the USB drive where you installed the AIO Boot.